One of the ways I have tried to reduce expenses this year is to lower my utility costs. My plan to do this is to tackle the low hanging items first and then move on to bigger things like blowing in more insulation. 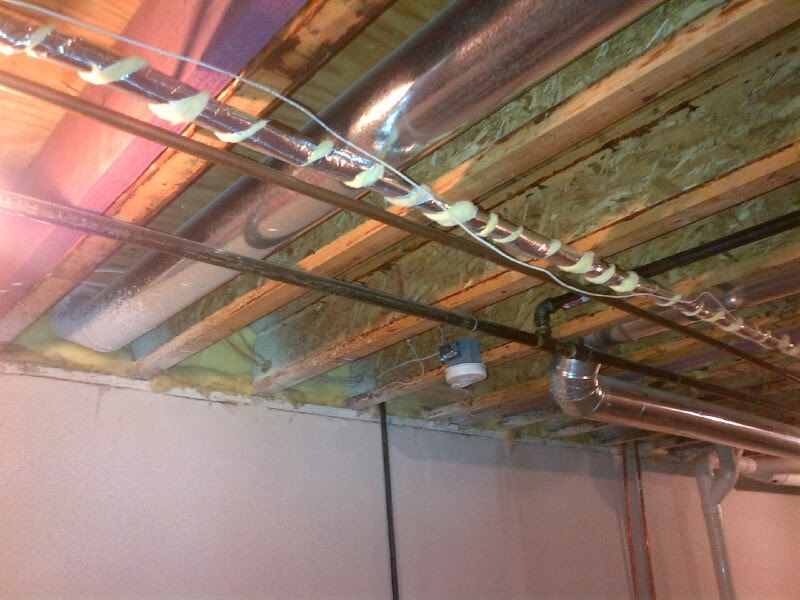 One of the recent improvements I tackled was insulating my copper hot water pipes in my basement. Insulating my copper hot water pipes was very simple. For under 30 bucks, I was able to insulate the majority of my hot water pipes. I was able to finish the task in under an hour. That is not bad for something I will never have to do in this house ever again. I have not been able to find what type of percentage gain I should see from completing this task but I figure even if it takes a year or two to pay back it will be worth it. I did read however on energy.gov that insulating your pipes will keep the water in your tank 2-4 degrees warmer. One of the other positives of insulating my copper hot water pipes is the water I am saving. Before I completed this project, I would have to wait up to 5 minutes of running the hot water before my sink water was hot enough to do dishes. Now it is less than a minute. 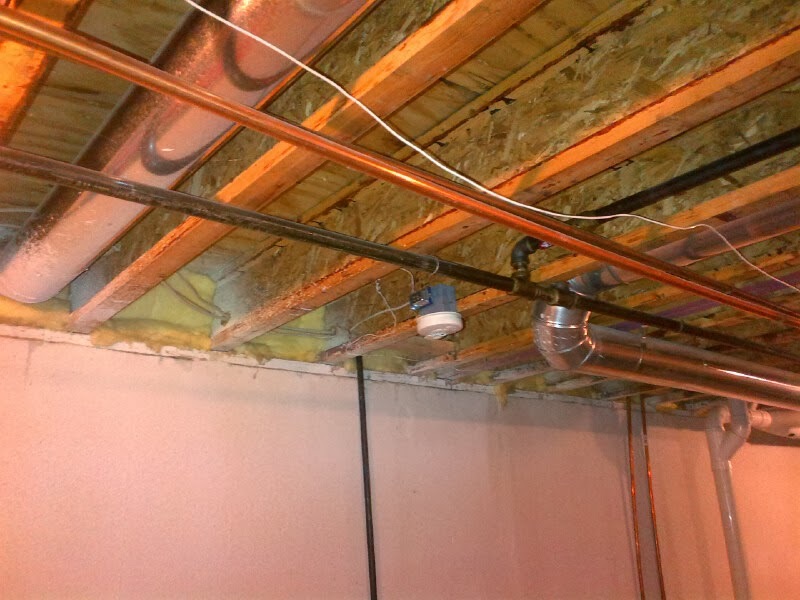 Another advantage of insulating your pipes is that it will cut down condensation in the basement. Doing this will help reduce mold buildup which I actually noticed in a spot or two while doing this project. I cleaned up the black mold with some bleach and now that I have completed my project hopefully it will not come back. 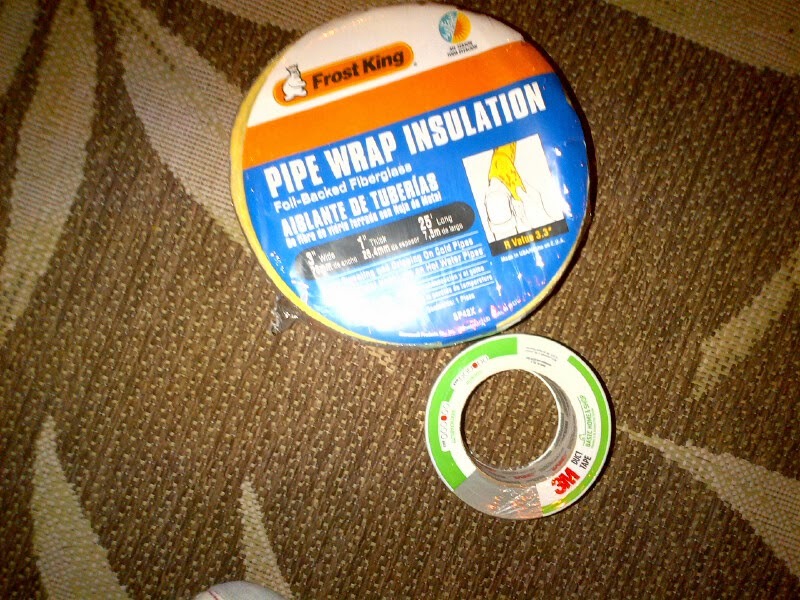 If you are interested in insulating your copper hot water pipes like I did, you can easily do this task yourself. All you have to do is simply go to your local hardware shop and pick up one or two pipe insulating kits. At the store you will find there are a few different versions of this product though. I went for the highest r-value I found that I did not have to wear a mask to apply but to each their own. You will also need duct tape. Here is an example of the kit I purchased and some duct tape. Before. Make sure you figure out which one is hot water.